We are hiring!!! Flexi-hours available! *Flexi-hours available. Interested applicants please apply for the shifts and we will get back to you shortly. Located at the Raffles Place entrance to Boat Quay, one of Singapore’s most colourful and vibrant river-front entertainment zones. The Penny Black Victorian London Pub is without doubt your quintessential Victorian Public House. The quayside seating area provides the ideal setting for ‘al fresco’ drinks overlooking the Singapore river. Alternatively, the ground floor holds an air-conditioned authentic Victorian London tavern, re-created in Singapore with high tables and an inviting bar. The “Snug Bar” (recently refurbished) is located upstairs and provides a comfortable setting for informal business meetings, private parties/functions and lunches. The authenticity of the pub provides a form of “escapism” for those who want to get away from the maddening crowds of Singapore. The name “Penny Black” is derived from the world’s first ever self-adhesive postage stamp which was printed black in colour, sold for one penny, and first issued on the 6th May 1840. 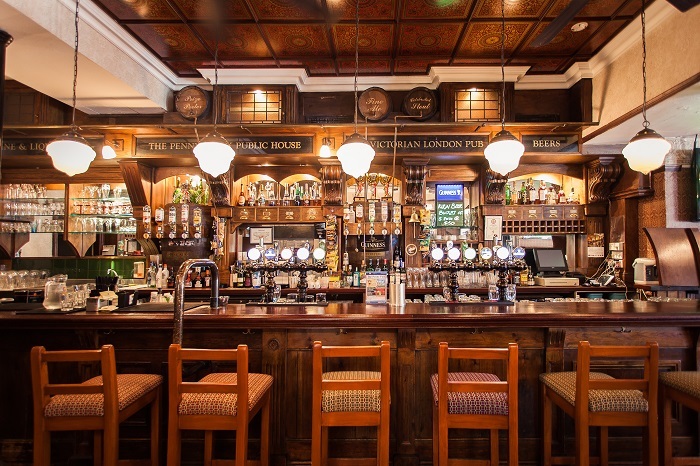 Akin to its sister pub in Singapore (Muddy Murphy’s), The Penny Black was painstakingly designed and built in England by master craftsmen and shipped piece by piece to its current location at 26 & 27 Boat Quay. The Penny Black pub is a highly authentic representation of a traditional Victorian London pub created as a celebration of that first postage stamp from the UK’s Royal Mail. All food is freshly cooked everyday. You will find hearty London Pub favourite meals and a mix of enticing local and western barfood on offer from 3pm. Most popular meals include Fish n’ Chips with Mushy Peas, Traditional Roast, and the mouth-watering home-made Beef Burger.